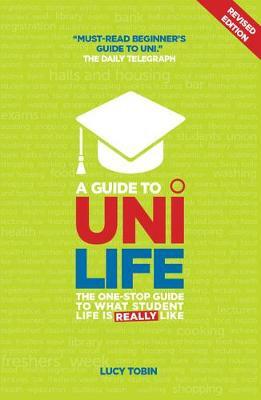 A Guide to Uni Life is an upbeat and engaging guide book to all aspects of university life. It covers everything from surviving freshers' week to studying for your finals and includes tips and advice on how to have fun and stay healthy throughout your university life. Lucy Tobin - a graduate herself - gives new or potential students a real insight into what uni life will be like and how to make it the best experience you can and achieve a brilliant degree as well. The author guides new students through the university experience in a friendly way without being condescending or pretending that all you are there for is to lock yourself in the library! Students can really get the best out of their time in higher education with this helpful and entertaining book. New to this edition is additional info on money management to reflect further changes in student fees, as well as further advice on eating right, mental health issues and using technology to help ace your work.